Swindon-based specialist distributor Smiths News has extended its newspaper wholesaling agreement with media group Trinity Mirror Newspapers to until October 2019. The agreement secures 56% market share of Trinity Mirror’s distribution business for Smiths News for an additional five years. 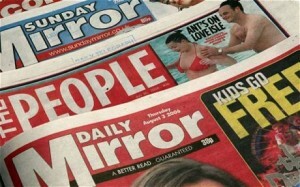 Trinity Mirror publishes The Daily Mirror, Sunday Mirror and The People along with Regional titles Newcastle Chronicle, Manchester Evening News, Liverpool Echo and Birmingham Mail. The £143m-a-year contract is equivalent to 15% of the entire national newspaper distribution market. Smiths News is the UK’s largest newspaper and magazine wholesaler, as well as a leading UK book supplier and distributor of consumable products to the education market. It has now secured revenues of around £900m a year to 2019 – 63% of total sales. Chief executive officer Mark Cashmore said: “Today’s announcement extends our relationship with one of our largest newspaper publishers in the UK. “Our longstanding relationship with Trinity Mirror has delivered incremental revenue growth over the past five years as they have outsourced significant regional business to us. Last month Smiths News secured a contract to distribute the Metro newspaper in London and the South East for five years starting next February.